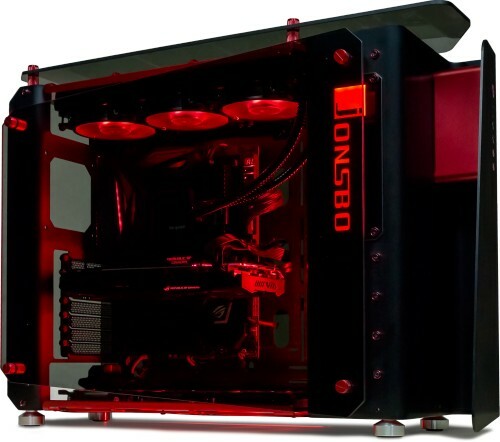 The Jonsbo MOD1 case is as striking as it is innovative and features a full aluminium open chassis design with top and side tempered glass panels. Jonsbo conducted a customer survey for the development of the MOD1, especially watercooling enthusiasts and as a result the MOD1 was developed. The full aluminium chassis screams quality and the darkened tempered glass panels adds a sophisticated feel. The rugged exterior is highlighted with visually appealing coloured elements, while it also emphasising the high quality materials which have been processed in MOD1. The extravagant and remarkable design automatically draws attention to itself. 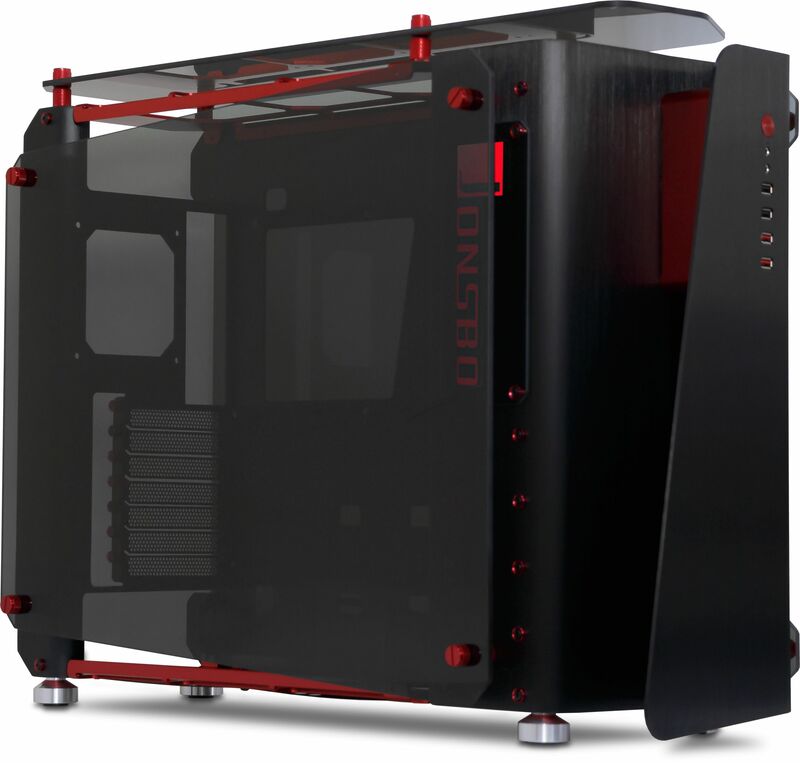 A clearly visible highlight is the design of the extending aluminium panels and the tempered glass, which not only allow a look at the internal components of the PC, but also ensure a constant supply of fresh air into the interior of the case. One advantage of this open type of chassis is if additional fans are to be installed, they can achieve a better cooling for the whole system. 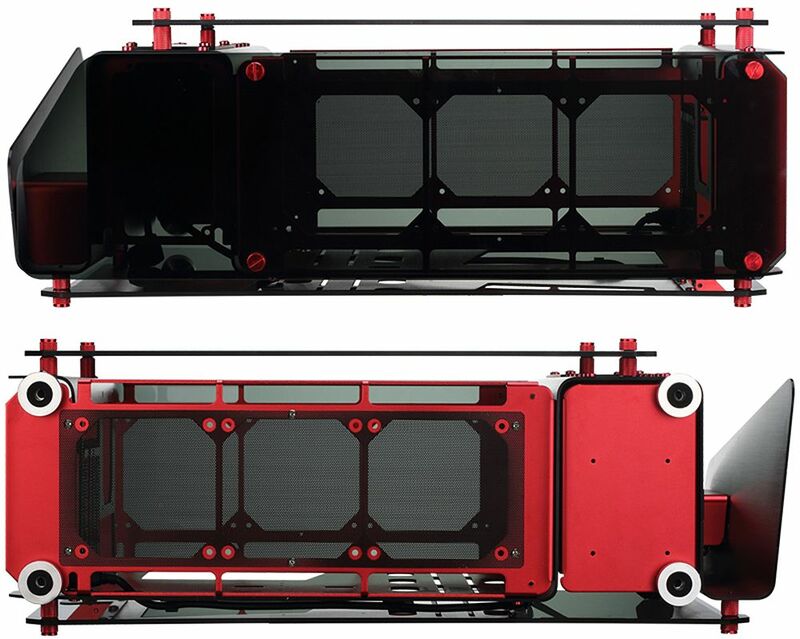 The chassis of the MOD1 is made of high quality 3mm thick anodised aluminium. 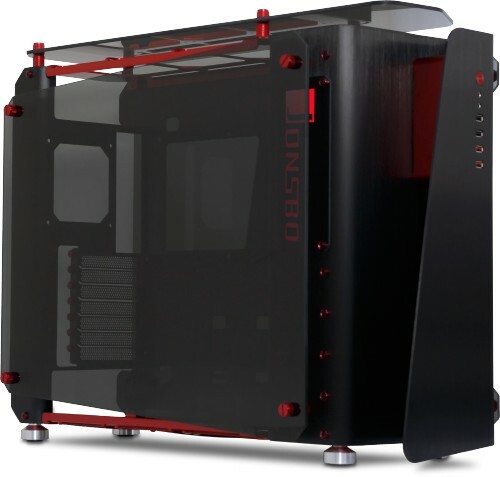 The side and top panels instead are made of 5mm tempered glass, which give the case impressive stability. Not only is the exterior kept especially distinctive, the interior is certainly no less exciting. The power supply is installed in the specially designed frame behind the front panel - an extensive cable management system allows for a clean installation of the cables. The power connector is located at its usual place at the rear of the case; a corresponding extension cable for the PSU is pre-installed. Below the power supply there are mountings positions for the hard drives. Four individually removable HDD slides can be used to install 3.5" hard drives. On the top there can be installed the 3.5” drives. A special highlight of the MOD1 is the ability to use simultaneously 2.5” SSDs, which are screwed on the bottom. Another mounting place can be found under the bottom of the case, which takes a SSD. The ventilation system of the MOD1 can be optimised through additionally fans. 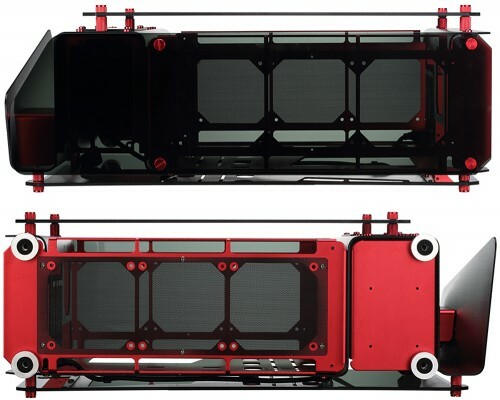 To achieve a better cooling effect, the top of the chassis accommodates 3x 120mm fans. 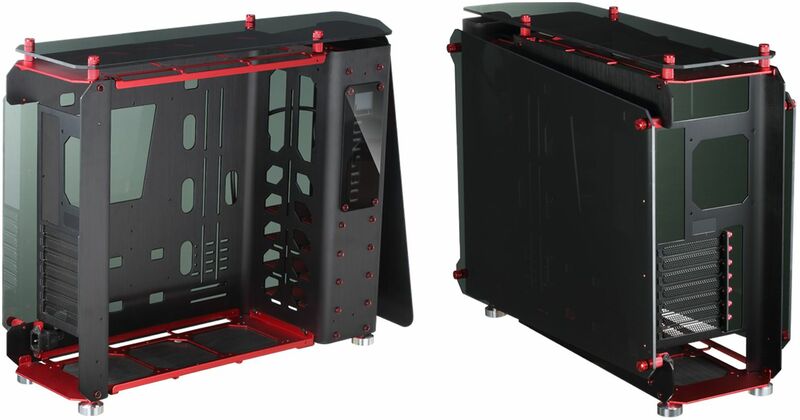 At the back of the case there is an option for 1x 120mm fan and finally, the bottom of the case has space for 3x 120mm fan. Behind the front panel are also mounting positions for 3x 120mm fans. The MOD1 also supports 2x 360mm water cooling systems, which can be installed in the top or on the bottom of the case. Please check first that there will be no complications with the motherboard, before installing a radiator that size. Two USB 3.0 and two USB 2.0 ports are available at the front of the chassis. Thus, external hard disk or USB drives can be connected quickly and easily. In addition, the MOD1 is equipped with an innovatively illuminated Jonsbo badge.